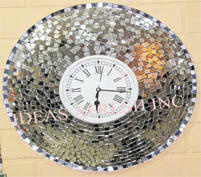 We are leading manufacturer and supplier of Glass Wall Clock. A wonderful and beautiful GLASS PAINTING WALL CLOCKS 9"X9" @ Rs 950 EACH ... ONLY ON ORDERS. 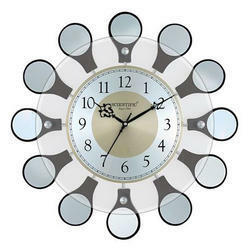 We are successfully ranked as the top manufacturer, importer, trader and supplier of Photo Photo Glass Clock. In order to cater the variegated demands of our clients, we are offering an excellent quality range of Decorative Acrylic Wall Clock. We are affianced in presenting to the industry a top class range of Wall Clock.